Dr. Mau has been active in the community here in Green Bay. He was the team manager for his son Ryan’s soccer team and even served a term as treasurer for the United Soccer of Allouez soccer club. He was a member on the leadership team at Destiny Church and now serves on the media team. Dr. Mau is a member of the AVMA and the Veterinary Emergency & Critical Care Society. He resides in Bellevue with his wife Lisa, their two sons Tyler and Ryan along with their dog Vinnie and cats Spur & Loki. Lisa has been a great supporter of Dr. Chris and his career by keeping the family unit running smoothly all these years of Dr. Chris’ crazy ER hours and travels with the Alabama hospital. Now, with the new venture, Paws & Co, she is jumping head first into the world of veterinary medicine. Lisa brings her administration and organizational skills to the table in this partnership with her husband helping make Paws & Co a success now as an actual brick and mortar clinic. With her love of people and pets, she is the prefect front line person representing Paws. Lisa has been quite involved in the community. While her and Dr. Mau’s sons were in grade school, she volunteered on a weekly basis at their schools, served on the PTO including a term as PTO President, and ran the school book fair 3 years in a row. She has also volunteered at Q90fm helping clean the original studio and the same at Freedom House. She currently serves on the first impressions team at Destiny Church. Lisa lives in Bellevue with her husband Dr. Chris, their two sons Tyler and Ryan along with their dog Vinnie and cats Spur & Loki. 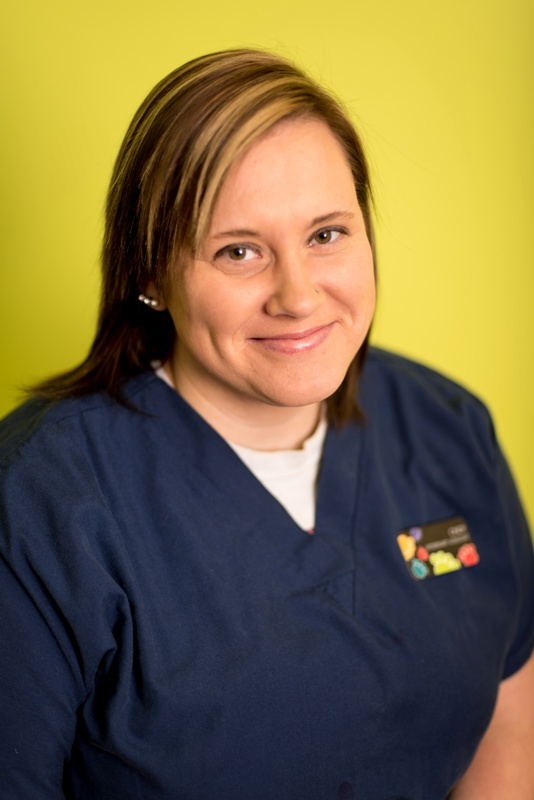 Cindy has been a veterinary assistant since 2002 and has worked in multiple facets of veterinary medicine. She has experience in general practice, emergency medicine, and shelter medicine. Cindy joined Paws & Co in the beginning volunteering at some of our walk-in clinics, then jumped at the chance to join us full time when we opened our Green Bay clinic. She has since taken a new job in the human medical field but stills helps us out part-time. Cindy enjoys spending time with her son Dakota and their two dogs Felix and Bailey. She enjoys the outdoors and especially enjoys her time helping her parents on their farm in Denmark.